To sell art, you need to collect prospective clients' email addresses and market to them through your regular email newsletter. It's a key component of your gallery's digital marketing strategy. When it comes to choosing an email marketing service provider, there are tons of options, but MailChimp is far and away most galleries' preferred choice. Here are 3 reasons why. Yes, FREE — who doesn't love free?! MailChimp's pricing starts with a free account for up to 2,000 contacts and 12,000 emails per month, making it the perfect option for galleries just getting started. Once your list has grown beyond 2,000 contacts, you can upgrade to a paid account, which starts at just $10/month and is based on the number of contacts on your mailing list. Your monthly fee adjusts as your list grows or shrinks, so you're only ever paying for exactly what you need. MailChimp even offers an online calculator that lets you figure out what your monthly cost would be based on your list size. Now that's fair and transparent pricing. You don't have to be a technophile to create sleek, sophisticated email templates in MailChimp. 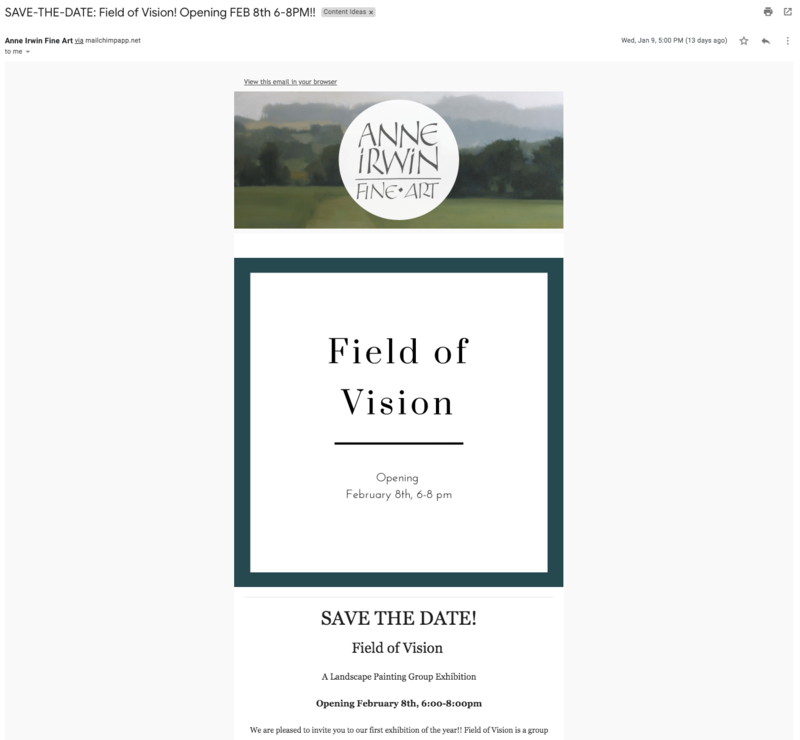 With lots of out-of-the-box designs, drag-and-drop technology, and plenty of customization options, you can create a variety of email templates that match your gallery's brand identity. If you're like many galleries, you probably have information about clients in a number of different places: your database, your email marketing list, your smartphone, and maybe even on paper in a guest book. Maintaining one comprehensive, up-to-date client list is essential in making sure you don't lose track of your clients and anyone who has expressed an interest in your gallery. Without it, you could be missing out on potential sales opportunities. ArtCloud's integration with MailChimp makes it a breeze to maintain a comprehensive client database and always keep your email newsletter list up-to-date!